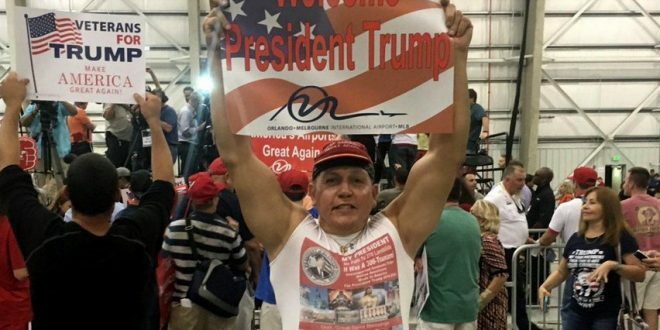 #MAGAbomber Faces Life Sentence With New Charges - Joe.My.God. If convicted, he faces a sentence of life in prison. He had previously faced five counts carrying a maximum prison sentence of 48 years. Sayoc’s attorney, federal defender Sarah Baumgartel, did not immediately respond to a request for comment. The indictment charges him with with five counts each of use of a weapon of mass destruction, interstate transportation and receipt of explosives, threatening interstate communications, illegal mailing of explosives, use of explosives to commit a felony, and use of a destructive device during and in furtherance of a crime of violence. His fingerprint allegedly was picked up on two of the envelopes he sent. Sayoc, 56, who drove around in a white van decorated with pro-Trump stickers and red crosshairs over some of his rivals, including Hillary Clinton, was recently extradited from the Sunshine State to New York to face charges.